A Shiny Pokémon is a specific Pokémon with different coloration to what is usual for its species. Next to its different coloration, you can recognise a Shiny Pokémon by the stars that surround it and a pinging sound effect when it appears. These Pokémon are very rare, but there are tricks for finding them. Find out how in this guide on Shiny hunting! The first way to find a Shiny Pokémon is to simply encounter one in the wild or while breeding. The chance of encountering a Shiny Pokémon like this is 1 in 4,096. There are ways to increase this chance however, which you can read about below. The Shiny Charm is a Key Item that increases the chance of encountering a Shiny Pokémon, both in the wild and through breeding. Having the Shiny Charm in your bag increases the chance of encountering a Shiny Pokémon to 1 in 1,365. In Pokémon Sun and Moon you can receive the Shiny Charm from the game director at Game Freak in Heahea City (Akala Island) after obtaining all Pokémon in the Alola Pokédex (with the exception of Magearna and Marshadow). 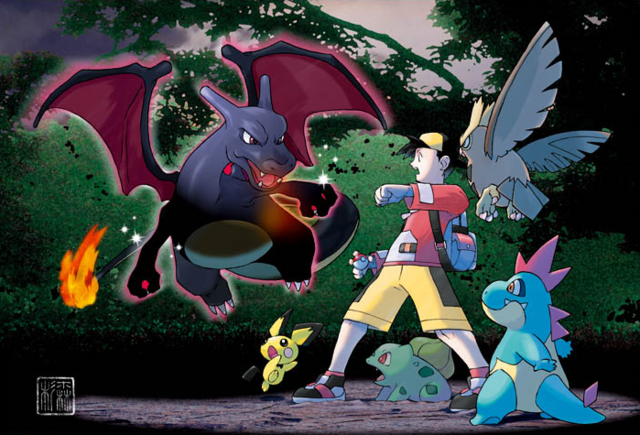 An SOS Battle is a battle in which a wild Pokémon calls for help from allies. Wild Pokémon gain this ability after you have cleared Ilima’s trial. Defeating multiple allies in a row is called chaining, and making long chains increases the chance of a called ally being Shiny. A chain length of 70 to 255 gives you a 1 in 1,024 chance of encountering a Shiny Pokémon. If you have obtained the Shiny Charm, the chance becomes 1 in 683. After a chain of 255, the increased chance goes back to 0. The Masuda Method is a fan-made term which describes a way to obtain Shiny Pokémon more easily through breeding. The method involves breeding two Pokémon created in games of different languages. An Egg resulting from such a pairing has an increased chance of 1 in 683 (or 1 in 512 with the Shiny Charm) of containing a Shiny Pokémon. The most common way to do this is to use one Pokémon from your own game and one from a game of a different language. If you don’t have any friends in foreign countries, it’s often easy to find a foreign Pokémon via the GTS or Wonder Trade. Soft Resetting is method used to get a Shiny Pokémon you can’t encounter in the wild, like the starter Pokémon and Type: Null. To Soft Reset, save the game right before you receive the Pokémon, and when the Pokémon is not Shiny, go back to the start menu by pressing L+R+Select. Repeat this method until the Pokémon you receive is Shiny, which you will be able to see on the nickname screen. Note that Soft Resetting does not increase the chance of getting a Shiny, it is merely a method of finding one.